Being a celebrity is something that most people admire, but there are some who to some extent have changed the story. How do you even start dating somebody who is way younger than you? What do you even talk about when you are together? I find it wired that some celebrities just have to date underage girls and by “underage“ I mean girls who still cannot make their own decisions legally. For them to make any decision, their parents or guardians have to be consulted. These celebrities just can’t help them. They just have to go for young girls or is this part of blind love? When it comes to love matters, no theory seems to get it right or maybe it is a mystery. The following is the list of the top 10 celebrities who dated underage girls. Now I don’t know which formula you can use to explain this because I have even tried mathematical regression, but still it does not make sense to me. How does a fifty-one years old man get married to a sixteen-year-old girl? That is the situation with Doug Hutchison and Courtney. It has been reported that the lady had to seek permission for her to get married to the fifty-one years old celebrity. As to whether the parents agreed to the request or not is a story for another day. This is one of the relationships that have been termed as the most controversial in the history of love stories. They don’t hide it either, in one of the interviews the couple has been quoted saying that they are well aware of the huge age difference between them and that they are ready to prove to the whole world that love can be ageless. Something makes me question this statement though. After only two years of marriage, the couple hit the headlines again. This time they were not talking about ageless love but their separation. I think this answers all my questions and I can confidently say that that was not loved at all. However, I have t congratulate them for holding to that pretense for two whole years. It is not easy to do that. It turns out that love is not ageless as such. One thing I can assure you about this kind of relationships is the fact that they can never lead to anything serious. It is just jokes meant for people who are just passing the time. After being divorced by his co-star in ‘One Tree Hill’ Sophia Bush, Chad did not give up on love. He decided to get love from a seventeen-year-old high school girl. I wish you heard him talk about Kenzie Dalton you would not tell the difference. In fact, you would think that he was a teenager too. The Us Weekly reported that he describes the girl as the sweetest thing that he had ever come across and that they have dated for a long time. That did not lead anywhere either, by the year two thousand and thirteen they had to take a break or maybe they just come to the reality that they were heading nowhere. With Kobe and Vanessa, I can only say that it was teenage drama or a good example of blind love. The lovebirds met back in the year 1999 when Kobe was playing basketball for Lakers, and our teenager was just a high school girl who spent some of her time doing background dancing for a music video. Their story proves me right that nothing meaningful will ever come out of this kind of relationships. I consider them experiments. It’s a shame that you don’t sit back to watch the reaction of that experiment because those experimenting are part of the reactors in the experiment. The lady finally dropped out of school. I guess she could not handle too much attention given to her by her classmates as a result of her relationship with the basketball star. They managed to get married, but I can’t tell if that was for those of us who were following their story or they were severe with such a commitment. I say that because of the long list of cheating scandals that followed, and you can predict what will happen next. I am not a prophet of destruction, but I don’t expect them to stay together for long. I don’t know what it is with celebrities and seventeen-year-old girls. Milo too decided to get himself a seventeen-year-old Panettiere who by then was his co-star from “Heroes.” This love story did not go far either as they broke up soon they come to the limelight. It happens that this relationship did not surprise many as it was already clear that the teenager had something for men way older than her. After she broke up with Milo, she started dating Wladimir, a heavyweight boxer in Ukraine who was thirteen years older than her. When she was asked why she dates older men, she openly said that she is attracted to people who make her up to her game. It was evident that the only thing she wanted is to be at the same level as the people she dated. From what she said, I can only conclude that what she was after was not love but a partnership with somebody who is worldly to give her guidance on how to climb up the social ladder. As I said before, this kind of stories only have one ending and am sure you now know the ending too. They never live happily ever after. 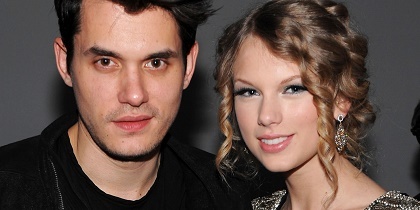 John Mayer is not left out in this list of underage lovers. He was tempted to fall in love with a nineteen-year-old Taylor Swift when he was thirty-two. Their story is a little bit different from others. They made more news after breaking up than when they were together. It is said that it was John that broke Taylors’ heart. To me it does not make any difference because that was expected anyway. I don’t find anything normal in a relationship between a thirty-two-year-old man and teenage girl. The most interesting part is that the lady decided to release a song about the break up. In the song she says how she loved John and that she could not expect that John would do what he did. The only part of the song that I like is when she admits that it was a mistake to fall in love with John. If anything, I don’t know why it took her time to realize that or did the heartbreak act as an eye opener? Mayer had a chance to respond to the song, but the only thing that could come out clear was that he was not comfortable with the song and that he could not think that his Ex-girlfriend would do something like that. He even termed it as terrible and lousy. Now, in a typical situation, a father will get mad when he hears that his daughter is dating an older boy and it is expected that any responsible father will not approve of such a relationship. This is not the case with Justin Gaston. He met Miley Cyrus when he was twenty and the lady was fifteen. The interesting part is that these two did not fulfill through anybody else but the girls’ father, Billy. I don’t know what was running through his head, but Billy seemed to like the boy to the extent that he would go on a tour with him. Billy was quoted saying how they wrote songs together and even sang. To him the boy had a good heart. Like I said before, such relationships can only be considered experiments. It lasted for some time, and when it ended, the two former lovebirds decided to paint tweeter with their sadness. To successfully do some of these things, somebody always has to lie. Imagine living a double life just to avoid the attention that you would be given if the truth comes out. Joaquin Phoenix who is thirty-nine years old dates a woman who is twenty years younger than her. They have managed to keep that relationship a secret, so it is not clear how long they have been together. However, there is more interesting stories about the lady other than dating a man almost twice her age. She is a DJ, something that she has been doing since she was sixteen. She was a regular face in New York and Hollywood party scenes despite the fact that she had not attained the age of drinking according to the law. It was evident that she had been telling lies about her age. This is a fact that she confesses herself. She has been quoted saying that she lived a double life and had to lie about her age. Also, she added that she was ready to get engaged in the music world and to meet people. She knew very well that that was not a good word for a girl of her age, but she wanted it anyway. Their secret loves continues but remember that it is secret. This list cannot end without the mention of one Nick Lachey. He has made it a specialty to date ladies way younger than him. I don’t know if they do it for the fans or he is just having fun. I mention only those two options because love is definitely not an option here. Anybody who watched the reality show about this man and his wife Jessica could tell that the marriage was not heading anywhere. We have to take note that these people met when the man was twenty-five, and the lady was just eighteen. I must congratulate them for having made it to marriage, but that is nothing if the wedding is bound to fail. When I say that such relations don’t lead to anything meaningful it is not because I don’t wish people well. There are so many men and women around your age who are willing to date you. Why would you go for an individual who is way younger or older than you? it does not make sense to me. Somebody called me a prophet of doom, but I don’t care so much time as the destruction is caused by the people it affects I will continue writing. This marriage ended after three years, and the man did not learn anything from the wedding. He went ahead to get a lady of the same age as his Ex-wife, and I don’t expect them to last long either. The lady however, moved on to a man only one year older than her which is reasonable according to my standards. I still insist that there is always nothing right about wide age gap relationships. When it comes to Woody Allen, I can only term it as crazy. He started dating Soon Yi Previn when he was in his middle fifties and the girl was just fifteen years old. It began as a secret affair because at that time Woody was dating the lady’s adoptive mother. He finally left the mother and settled with Previn in a relationship which most people termed as controversial. They did tie the knot, and they are still together, but I know for sure that the only thing keeping them together it the fair of what would be said about them should the marriage fail. Woody says that there is nothing controversial about their relationship. According to him, they fell in love and decided to spend the rest of their lives together. Their story continues, and it will not take long before somebody relates some of the decisions they have made. The young girl seems to be stuck to the old man in the name of love. Maybe we understand love differently. Jerry may have admitted that he made a mistake by dating a young girl but the part of the story that don’t make much sense it the fact that he claims that he did not know that the girl was that young. Before meeting his wife, he dated a seventeen year old high school girl. At that time he was thirty-eight of age. Jerry confessed that initially, the girl lied about her age and that it was when she paid him a visit at his show that he realized how young the girl was. He said that Shoshanna was the only girl that he ever went out with and it began just with restaurants, and then things went quickly and more severe. At some point, he calls the girl the most incredible thing in the world. We have jokers, and we have lovers. However, when you see a huge gap between the ages of a couple, you know that those are not lovers but jokers. I strongly recommend that people should stop joking and seek love where it does exist.